As our endeavour to serve you better, we have upgraded our FingerTec Data Processor (FTDP) to version 1.7.8. The arrival of the all-new FTDP comes with an additional feature in which it allows users to synchronize the time of their devices on a daily basis. 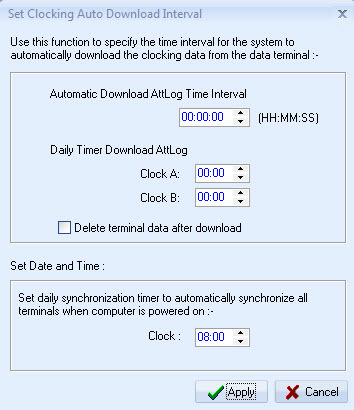 This feature allows you to set a specific time for terminal synchronization and as a result, all your FingerTec devices will be synchronized automatically when you have booted your computer.